Office visits to primary-care physicians have plummeted despite the expectation that frequent checkups with primary-care doctors improve a person's health and lower costs, new research shows. Primary-care physicians saw 18% fewer patients from 2012 to 2016, according to new analysis from the Health Care Cost Institute that compiled data from Aetna, Humana, Kaiser Permanente and UnitedHealthcare. There has been a relatively steady decline in primary-care visits for adults under 65 years old with employer-sponsored insurance since 2009. Meanwhile, visits to nurse practitioners and physician assistants increased 129% over the same period. However, the total increase in NP and PA visits accounts for just 42% of the total decline in primary-care visits, researchers found. That transition had minimal impact on cost, the data show. "The decline in primary-care visits comes at a time when awareness has grown of the role of primary care in prevention and in containing overall medical spending," said Niall Brennan, president and CEO of HCCI. The decline could reflect patient preferences, said John Hargraves, a senior researcher at HCCI and co-author of the study. If patients don't need a referral to see a specialist, they may circumnavigate primary-care doctors altogether, he said. In 2012, 51% of office visits were to primary-care physicians. That fell to 43% in 2016. The decline in primary-care visits ranged from 6% in Washington, D.C., to 31% in North Dakota. Demand for physicians is expected to continue to outpace the number of new doctors entering the workforce, which may contribute to the decline. The Association of American Medical College estimates that there will be a primary-care shortage of 14,800 to 49,300 doctors by 2030, according to its March report. That's up from its projected shortfall of 7,300 to 43,100 from last year. There are several factors that are increasing demand for primary-care doctors and limiting the supply. 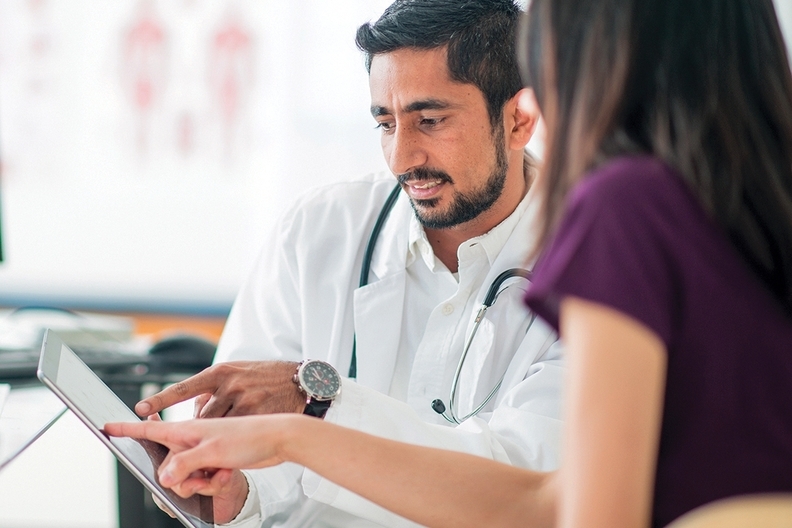 Population health initiatives that aim to facilitate preventive care will likely raise demand. Physicians are getting older—those 65 and over account for 13.5% of the active workforce, and doctors between ages 55 and 64 make up 27.2%. They are working shorter hours, which could exacerbate the shortage, the AAMC said. Underserved populations also face socio-demographic, economic and geographic barriers to care. The expectation is that healthcare utilization and spending over the short-term will increase as individuals who lacked access enter the healthcare system. But it will be a net benefit over the long-term when costs taper off as patients avoid more serious health complications, industry observers said. Nurse practitioners and physician assistants are especially helping fill the void of primary-care doctors in rural areas. Changes in scope of practice laws have allowed NPs and PAs in more states to practice independently of physicians and provide more preventive care, Hargraves said. "Patients may increasingly see nurse practitioners and physician assistants as a substitute for primary-care physicians, especially in areas with primary-care shortages where scheduling an office visit to a primary-care physician is more difficult," he said.